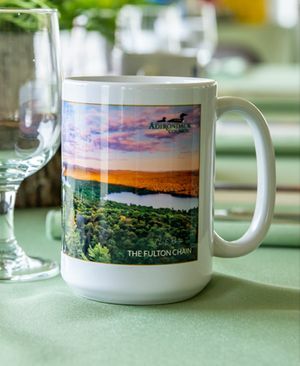 Enjoy an Adirondack sunrise and your early morning coffee or tea with our Forever Wild mugs. 15 oz. ceramic mug. Photos of different Adirondack landscapes by Carl Heilman II. Choose from Boreas Ponds, The Fulton Chain, Sand Lake, or Piseco Lake.